Are you in Accra or looking forward to visiting Accra soon? Figuring out what to do to make your stay in Accra an amazing one? Check out my list of things to do in Accra. 1. Visit the kwame Nkrumah Mausoleum, the final resting place of Dr.kwame Nkrumah to learn a bit of history about Ghana’s first president. 2. Pass by the National Cultural and Arts Center- where works by national artist are exhibited. You can find sculptures, painting. There’s also showcase of national dance, music and theater. 3. Visit the James fort castle in James town, a former slave fort which has until recently also been used as a prison. The fort is today a dilapidated building overlooking the fishing village of James Town. 4. 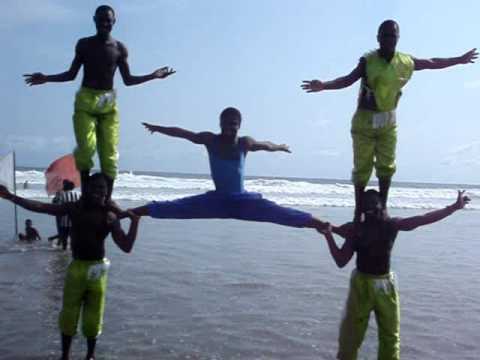 Watch Acrobats, jugglers provide entertainment in Labadi beach as some dance,swallow fire while others eat and swallow glass and belch it up again for a small fee. Some artist also makes nice figures from the beach sand and claims small fee from people who take pictures of it. 5. Visit the independence square also known as the Black Star Square where Ghanaian’s gather every 6th of March to celebrate independence. 7. Pass by the National Theater- the national theater is an impressive building, built by the Chinese as a gift to Ghana. Regular performances (such as theater arts, talent shows, movie premiers) take place here. Mostly on weekends but be sure to check their website for more details in case you want to catch up with any program. 8. Go relaxing or horse riding at Ghana’s famous and busiest beach, labadi beach. 9. The Ghana National museum is the largest and oldest museum in Ghana, opening its doors in March 1957. The museum houses an impressive collection of Ghanaian archaeological discoveries–some dating back to pre-historic times, colonial era antiques, as well as contemporary ethnic art. 10. Take in a concert at Alliance Française- they offer a large range of artistic activities almost every week. It particularly excels in live music events but also regularly displays arts and talks from international artists. 11. Still on things to do in Accra, well there are plenty of options for night lovers. Pass by Osu the street that doesn’t sleep for a great night life experience. Ooo wait, here’s a list of night clubs in Accra you might want to check out. 12. 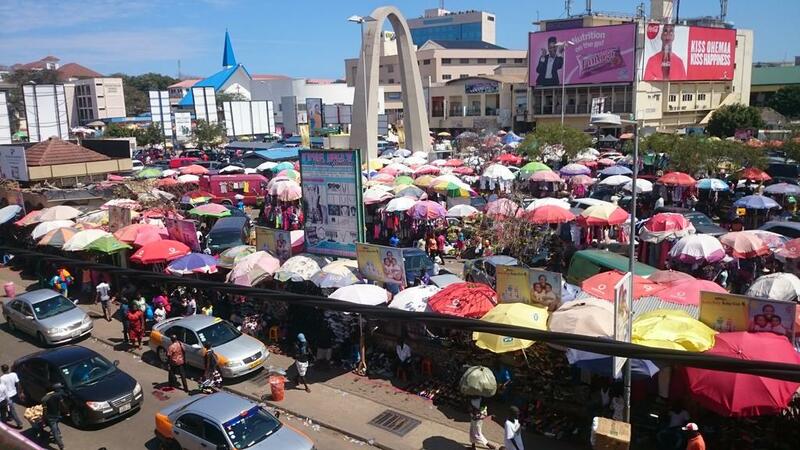 Go explore the Accra market, walk through the Makola market, go pass by the Rawlings park, extend your walk through Kantamanto, feel the heat, sweat it out and enjoy the experience. 13. Take a walk round town, watch Ghanaian’s go about their daily life, admire the city and discover new places for yourself. What do you think of my list of things to do in Accra? Feel free to add up more places to the list? Hit the comment button below. After sweating it out in Makola market, I like to swim in a nearby hotel pool – e.g. Accra City Hotel. And I’d add a trip up Jamestown lighthouse. Nice one Chris. You’re right! light house should be on this list, glad you mentioned it.